I think I’m going crazy counting down the days till it’s officially fall. Fall is my favorite time of year. I love the changing of the leaves, saying goodbye to 100 degree days, eating all the yummy foods that come along with the fall season and of course doing fun fall crafts with the kids. 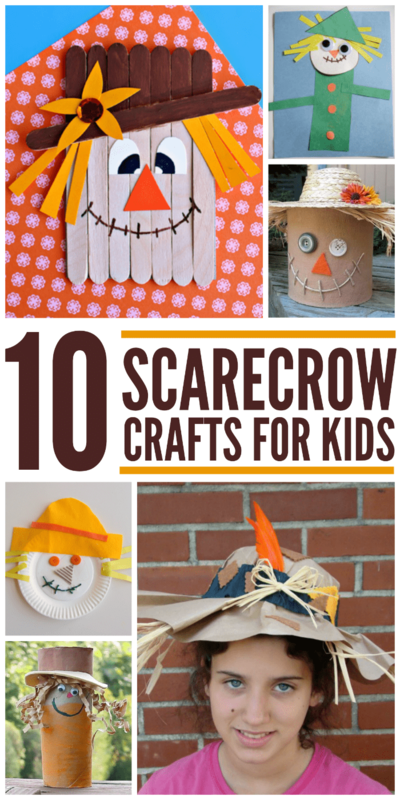 These scarecrow crafts are going to be at the top of our activity list this fall. Here are fun scarecrow crafts to do with the kids this fall. Such fun craft ideas for fall! I love this season.